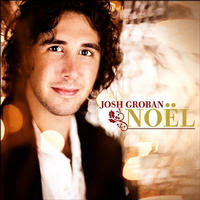 Josh Groban has a new (first ever) Christmas CD. I had heard this news from ~J who went with me to his concert in Salt Lake City this last August. I went to the store to get a copy and they were all out..so I haven't been able to listen to it yet. Today I saw a discription of the CD online. "Time and again, on his albums and soundtrack work, Josh Groban has proven that he can deliver a Christmas song with classic flair. His first collection of traditional seasonal songs is sure to be a Yuletide smash. The CD includes a beautiful rendition of 'O Come All Ye Faithful' featuring a guest appearance by the Mormon Tabernacle Choir." I absolutely MUST have that CD....and then I will faint. you're as funny as brooke with her buble obsession! you go right out right now and get that cd! Ahh,.. now Michael Buble...sigh ...BIG sigh...ya, must talk to Brooke about her obsession. I already have one of his CDs...just not his latest. I copied this into my library from my Mom; it's really good! I LOVE Buble! I can't get enough! I think Michael Buble is...sigh...INCREDIBLE! !